Given this enormous volume of social media data, analysts have come to recognize Twitter as a virtual treasure trove of information for data mining, social network analysis, and information for sensing public opinion trends and groundswells of support for (or opposition to) various political and social initiatives.Twitter Trend Topics in particular are becoming increasingly recognized as a valuable proxy for measuring public opinion. In addition, to aid the process of weighting the relationships between the cities, I also considered topics that were not related to the election itself (the premise being that cities that share other common priorities and interests may be more inclined to share the same political leanings). Although the order of the trend topics could potentially have some significance to the analysis, for purposes of simplification of the proof-of-concept, I chose to ignore the ordering of the topics in the trend topic list. 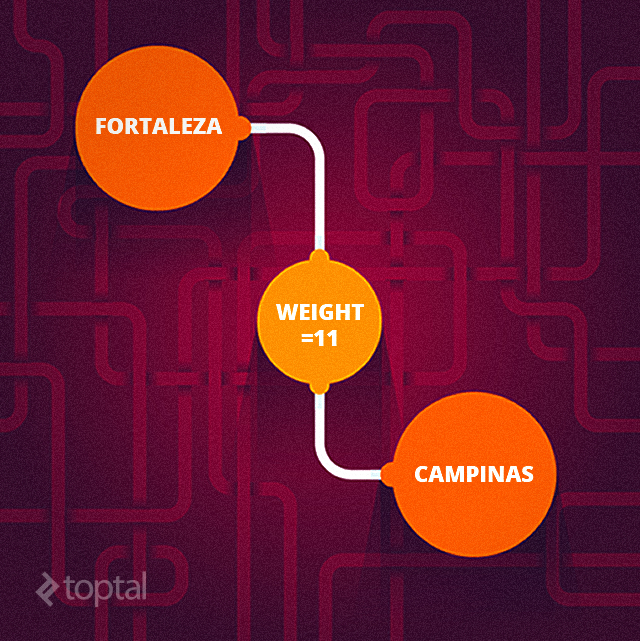 Network topology is essentially the arrangement of the various elements (links, nodes, etc.) of a network. For the social network we are analyzing, the network topology does not change dramatically across the 3 days, since the nodes of the network (i.e., the 14 cities) remain fixed. 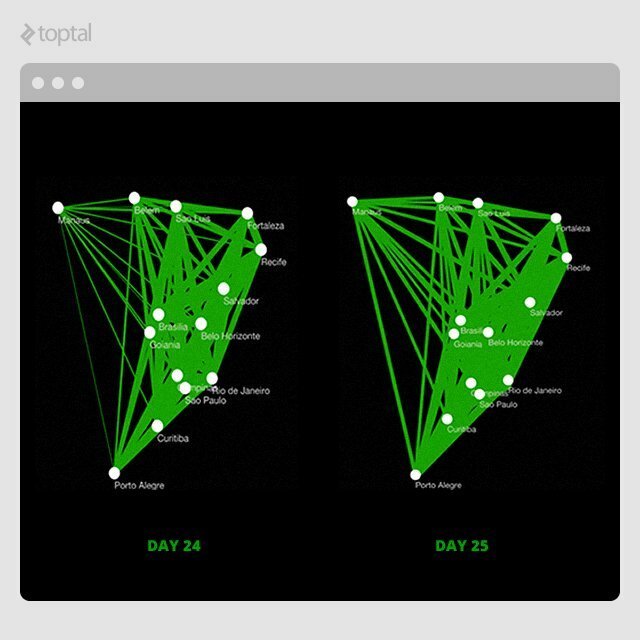 However, differences can be detected in the weights of the links between the nodes, since the number of common trend topics between cities varies across the 3 days, as shown in the comparison below of the network topology on Day 24 vs. Day 25. 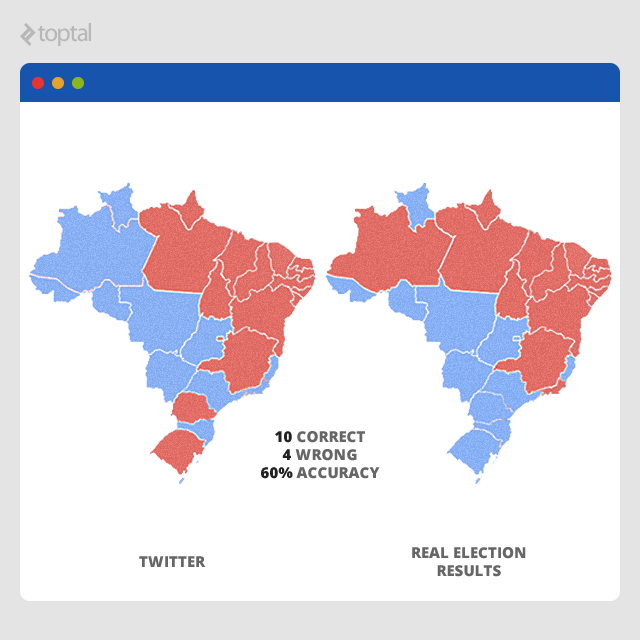 To assist us in predicting election results, we consider not only the trend topics in common between cities, but also how the content of those topics relates to likely support for each of the two principal political parties; i.e., Partido dos Trabalhadores (PT) and Partido da Social Democracia Brasileira (PSDB). We thereby draw the conclusion that Fortaleza residents have an overall preference for Partido dos Trabalhadores (PT). Improved scientific rigor, as well as more sophisticated algorithms and metrics, would undoubtedly improve the results even further. Node centrality. Numerous node centrality measures exist that can be employed to help identify the most important or influential nodes in a network. Betweenness centrality, for example, considers a node highly important if it forms bridges between many other nodes. The eigenvalue centrality, on the other hand, based a node’s importance on the number of other highly important nodes that link to it. Clustering coefficient. The clustering coefficient of a node measures the extent to which a node’s “neighbors” are connected to one other. This is another measure that can be relevant to evaluating a node’s presumed degree of influence on its neighboring nodes. Degree centrality. Degree centrality is based on the number of links (i.e., connections) to a node. This is one of the simplest measures of a node’s “significance” within a network. But even without that level of sophistication, the results achieved with this simple proof-of-concept provided a compelling demonstration of effective predictive analysis using Twitter Trend Topic data. 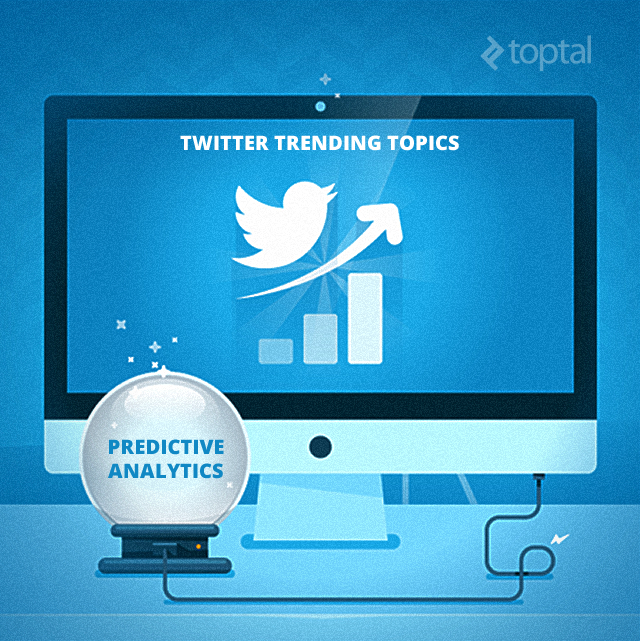 There is clearly the potential to take social media data analysis even further in the future.